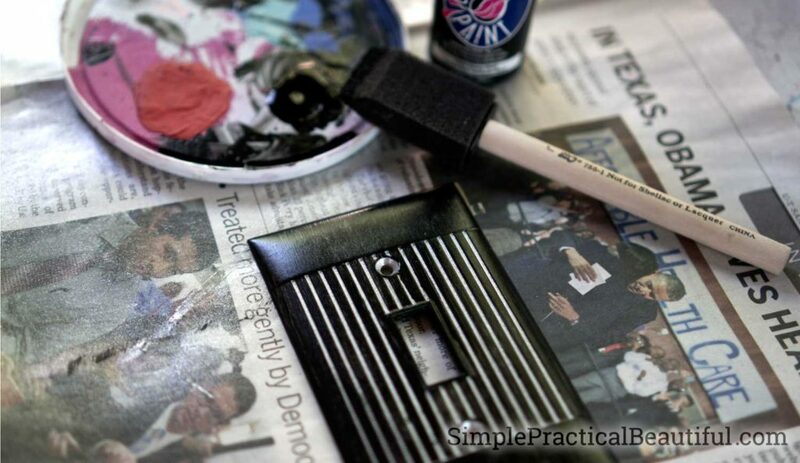 You can easily replace a light switch in your home to match you decor and paint colors. It’s a simple DIY project. For my son’s Star Wars room, we wanted to replace the old, yellowing light switch with a black light switch that better matched the room. 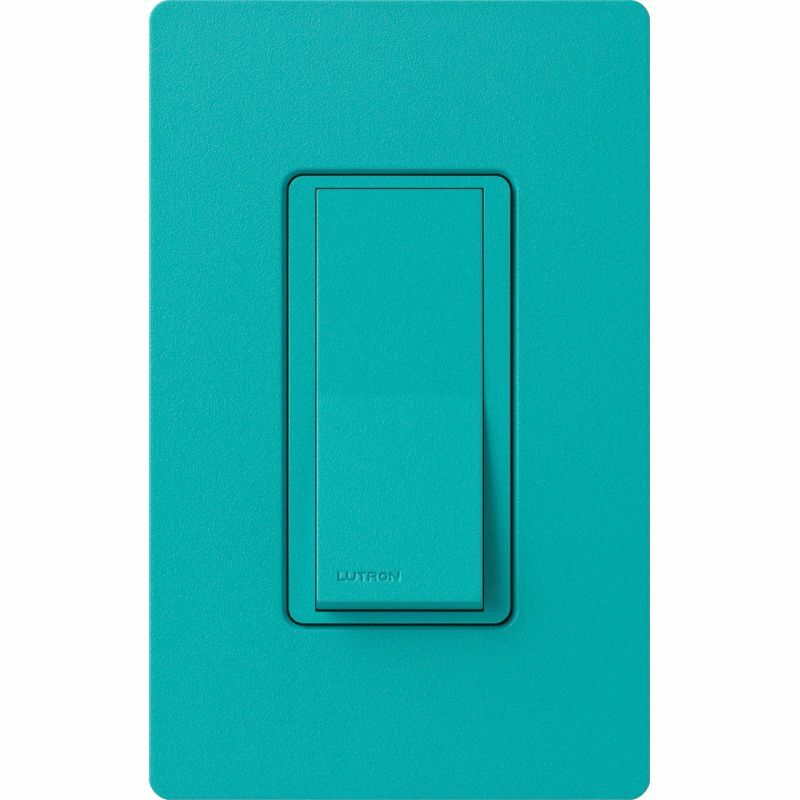 Even though we painted the light switch cover a new color, we couldn’t paint the switch itself. 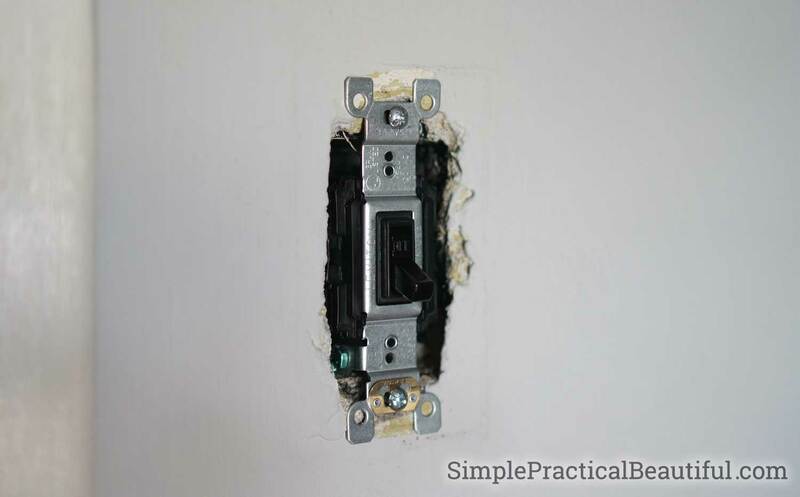 You can’t paint a light switch because it is touched and pushed and moved so much that any paint or finish would quickly wear off. So we had to replace it. This post has affiliate links. For more information, click here. For the rest of the options, you can decide what you want your switch to look like and what you want it to be able to do. 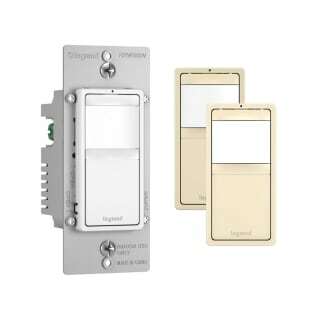 Switches are available in a range of colors, white, black , and almond are the standard colors, and there are paddle switches, toggle switches, and other combinations. Your light switch can include an outlet, a USB port, another second and third switch, a timer, a nightlight and more. 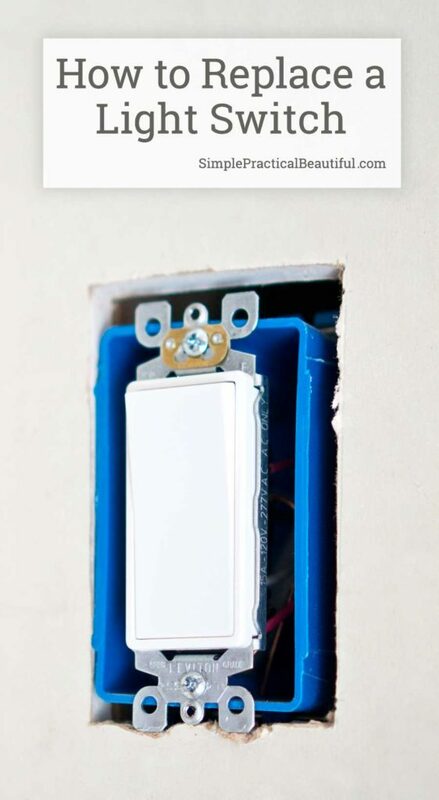 It can dim your lights (if your light bulbs are dimmable) and it can be a 3-way switch, which connects your light to other switches (but that requires extra wiring). 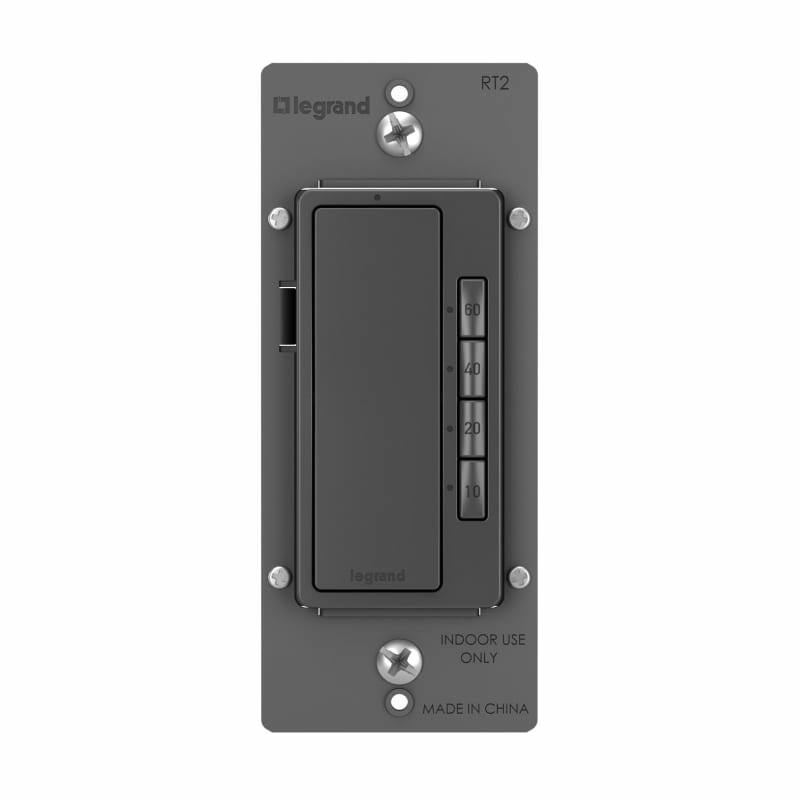 The switch can also include a motion sensor so it will turn on when someone walks into the room, or it can connect to your smart phone. We chose to use a simple, black toggle light switch. And our circuit is 15 amp. 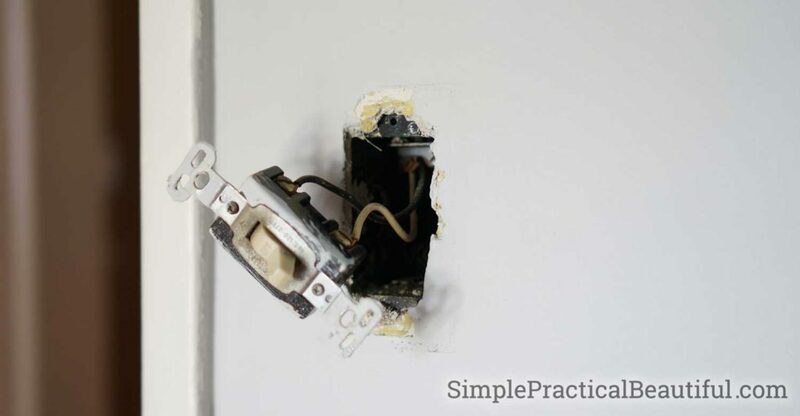 Replacing a light switch is really easy. 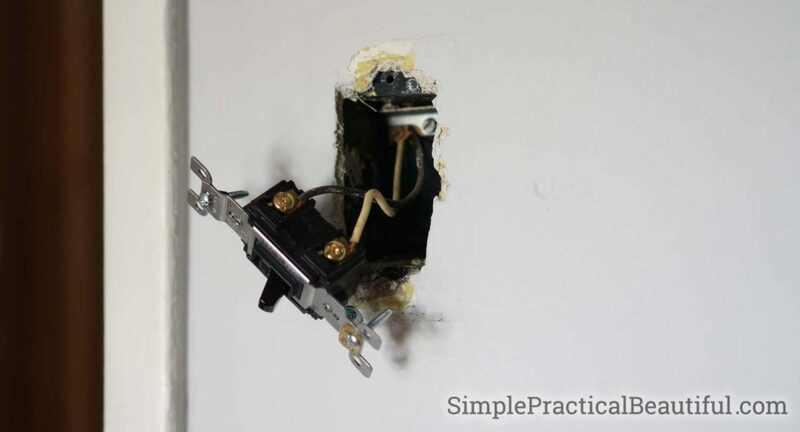 First, turn off the power at the circuit breaker, then remove the wires from the switch. (Remember which wire was on the top and which was on the bottom). There’s usually a third ground wire, but our house is old and the wiring hasn’t been updated, so we only have two wires. Wrap the wires around the screws of the new switch and tighten the screws. Make sure you kept the top wire on top and the bottom wire on the bottom, otherwise your light will turn off when it’s supposed to be on and vice versa. Push the wires back into the electrical box and screw the switch back into place. Turn on the power and make sure your switch works correctly. Finally, we add our light switch cover that I’d painted to look like Darth Vader. You can read more about the rest of the Star Wars nursery here. 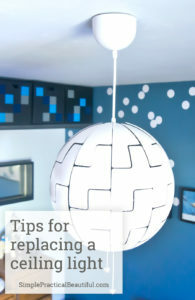 And you can read about replacing the old ceiling light with a new “Death Star” light. Replacing the light fixture was a little more complicated than changing the switch, but not much.